I was working in the White Mountains as a news reporter in December, 1997, when I wrote a story about a couple in Show Low, Arizona, making a public plea to recover their children from state government clutches. It seems that the parents had a problem with alcohol and consequently, after neighbors complained about some loud nights and a couple of nasty arguments, Child Protective Services got involved. The children were removed from the home. I went in their mobile home with a photographer at my side for the interview. It was a sad pre-Christmas story. It seems that the grandparents, who lived in a nice home a few blocks away, were given custody of the children. So we interviewed the grandparents, and also the children. The CPS agents involved refused to comment. They pointed out that everything they did was a private matter between themselves and the families involved, and that all information about their operations was protected by law. What was sad for the entire family was that Juvenile Court would only allow visitation once each week and under guarded conditions, in a special room assigned by the court. The family could not consider getting together for the holidays. There was no indication that the children were ever harmed. In fact, the children wanted to go home. They missed their mother. Everybody in this family was visibly shaken by what was happening. I wrote a tear-jerking Christmas story, complete with pictures of the people involved. It caused a big reaction in the community, but not what you might expect. Not only were people angry about what Child Protective Services did to this family, I began getting calls and letters from numerous other families with similar stories about their own battles with the agency. The more I dug the more sordid the story became. It was not long before I had a state senator, who was clearly opposed to the abuses generated by CPS, contacting me with more stories from all over Arizona. I was even visited by a delegation of members of an organization of Parents Against Child Protective Services that was very active in Phoenix. They supplied me with volumes of information and legal documents showing that there was a state agency in Arizona that was running amok. Through all of this, the state Child Protective Services was keeping a lid on its actions. I communicated regularly with a public relations person in Phoenix who was skilled at political double-talk. What I began to discover is that there is big money to be made in foster care, and Child Protective Services and the juvenile courts are right in the thick of it. I was fortunate enough in those days to have the support of a courageous publisher in a small newspaper chain that got behind me and published my stories. Even though we didn’t have circulation reaching beyond Apache and Navajo Counties, from Show Low East to St. Joseph and up to the New Mexico County line, the stories had an impact. As the battle continued, cracks developed in the state’s armor. High officials for CPS agreed to meet me in the St. Joseph County courthouse. The parents of the children in the Show Low case also were invited. The state officials brought stacks of documentation that they claimed proved their case for removing the children. It was an all-day session. I spent the day reading every single page and going over them with the family. In the end, we found nothing to substantiate the legal action that was taken against that family. We said so in our newspaper the following day. We presented the good side of the story with the bad. The parents admitted to excessive alcoholism, and they admitted to public scenes during some of their drinking bouts. But there was no proof that the children were ever harmed, or that they were not being well cared for. The parents joined Alcoholics Anonymous, and claimed to have remained sober for months at the time of our report. We didn’t accomplish it in time for the Christmas holidays, but before I left that newspaper, I had the thrill of seeing that Show Low family reunited with their children. The children were returned to their rightful home. Unfortunately, I was unable to help a growing list of other tortured families that appeared equally abused by this agency that legally operates behind closed doors. As far as I know, Child Protective Services or agencies like it exist in every state in the union today. There is an obvious reason for this agency’s existence, since child abuse is a growing phenomenon all over the country. But there also is abuse within and it involves money. 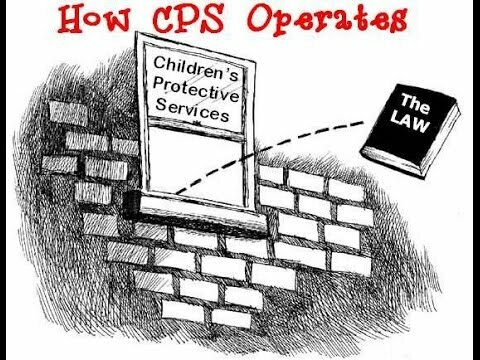 Someone needs to be a watchdog, making sure the agents operating inside the secret walls of CPS know and understand the difference.